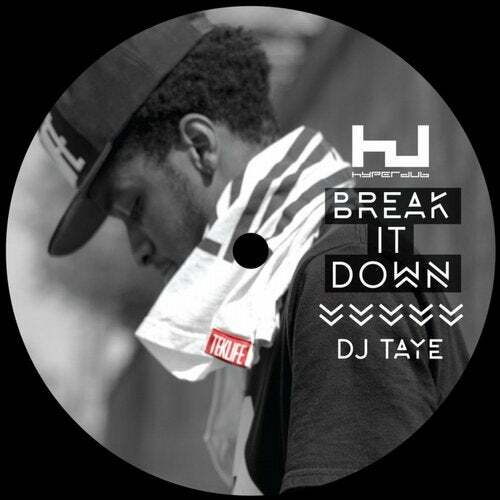 DJ Taye is one of Chicago Footwork crew Teklife's youngest producers, stepping up with his first full release for Hyperdub after some impressive tracks on the 'Hyperdub 10.1' and 'Next Life' compilations. The 'Break It Down' EP is invigorating from the word go. On the relentless stargate of 'Go Away' with DJ Paypal, smooth funk is chipmunked and chopped into a thousand digital shivers and starbursts over a tough grid of drums. 'That Love' featuring Tripletrain and DJ Manny is all romantic coos and seesawing keyboard riffs, micro-edited, stretched, chopped and spring -loaded in and out of comprehension. 'XTCC' in contrast is minimal and mournful, with the repeated phrase ?There's a void where there should be ecstasy? over drums that cut from half to double time, over a blanket of bass with sad chords slowly coming in towards the end. 'Break It Down' flips a ferocious yet minimal vocal cut up, coiled around a bristling vortex of detailed drum edits, before a goofy melody brings it to a close.